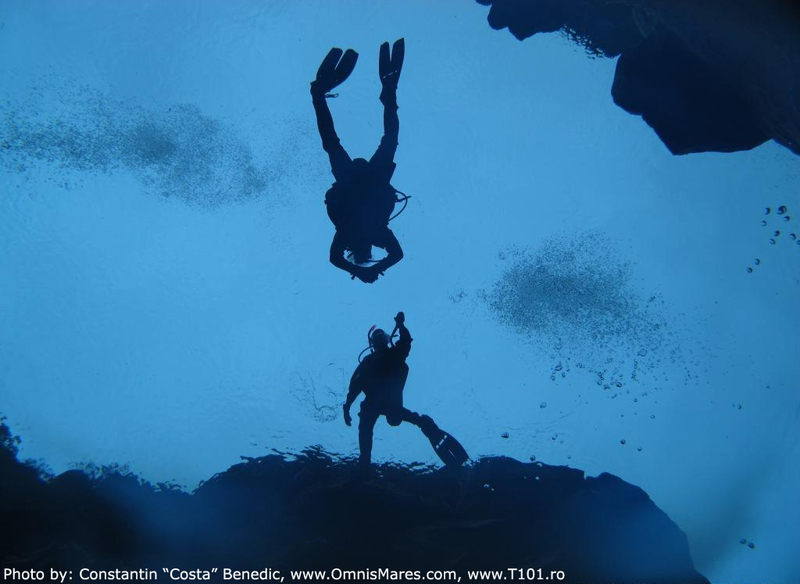 How many of us don’t have a “To Do list” when it comes to scuba diving destinations? I won’t say a “Bucket List”, because it would sound a bit macabre:). Most of us daydream or gawp at the colorful commercials found in the scuba magazines. Some of us flip out when it comes to the Red Sea, others when it comes to the far away Pacific, others when it comes to the Caribbean… I… flip out when it comes to Iceland. 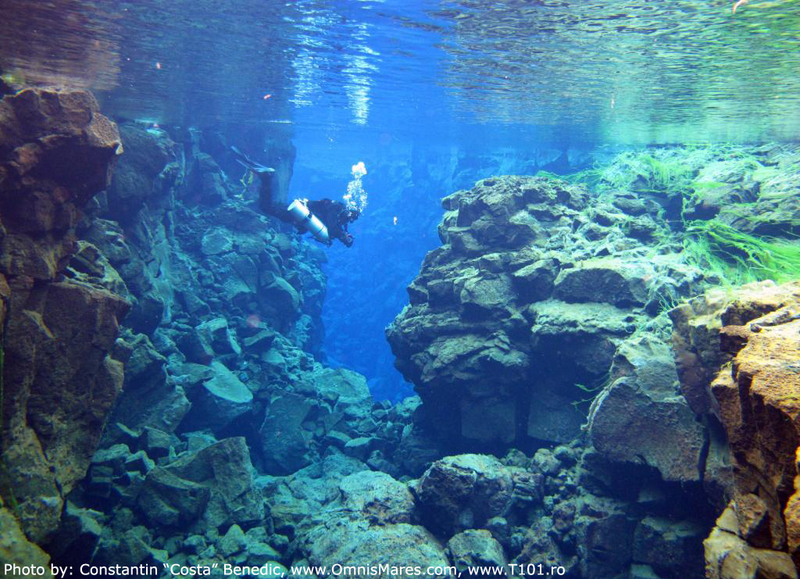 The present contract on the vessel I work on brought me the satisfaction of adding another country (or better two-three) to the list of latest visited countries, but Iceland had a different attraction for me: Silfra. From the moment I boarded the boat, I told my superiors that I will “kill someone” if I don’t dive there, that’s how much I wanted this. I think they got my message, knowing about my Pacific background where I was searching and not missing even a moment to dive, no matter if the visibility was 40 meters or 5 meters, if there were currents or colder water:). 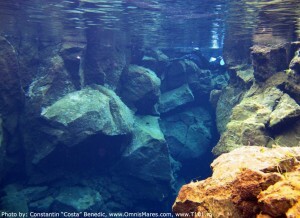 Silfra is a unique spot in Iceland, a crack between two continents, located in the Thingvellir Lake, in the Thingvellir National Park. 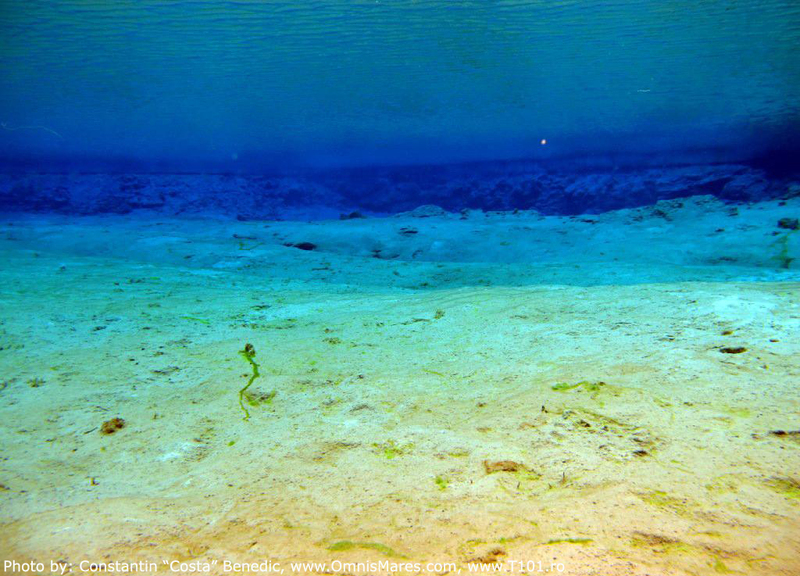 Even though it’s not the only one in the world, this particular fissure is famous for its extraordinary visibility (over 100 meters) and water clarity, and for its beauty. 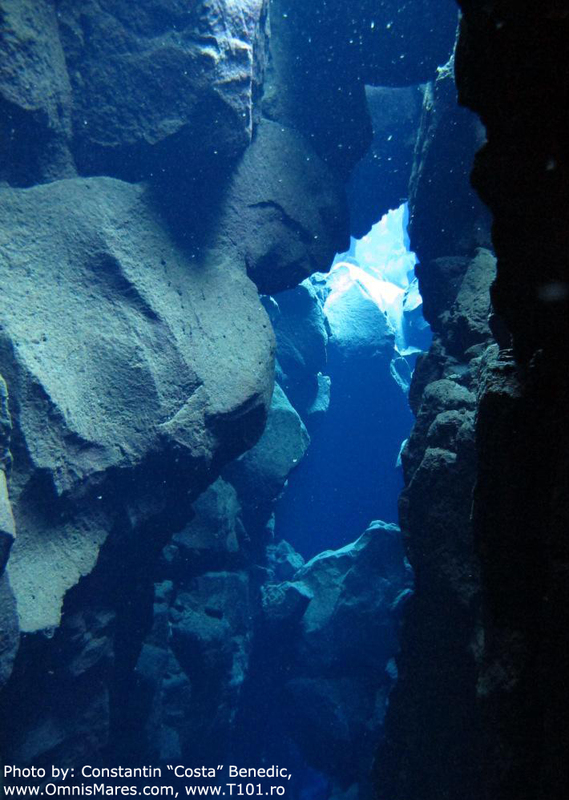 The tectonic plates meeting at Silfra (the Eurasian and North American) are drifting apart 2 centimeters each year, generating earthquakes now and then. 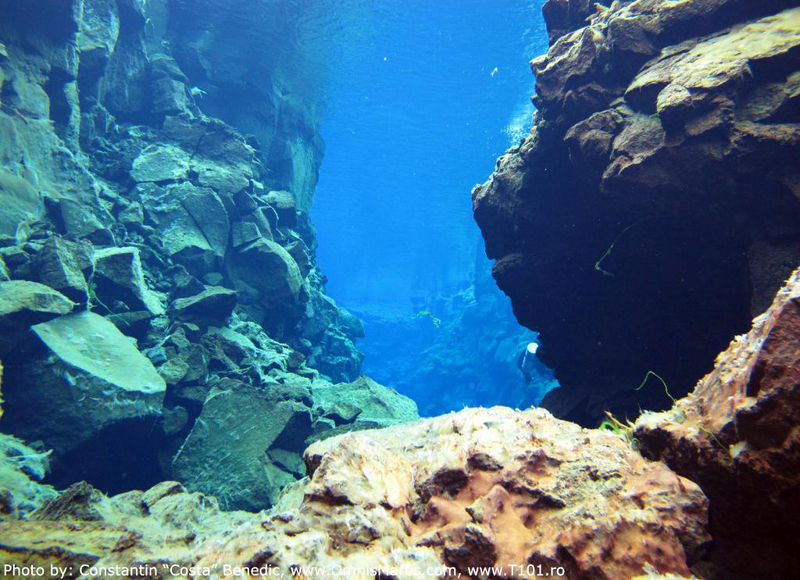 What’s extraordinary is that the fissure is filled with water from the Thingvellir Lake to a depth of approximately 60 meters, the underwater landscape being dotted with caves from time to time. 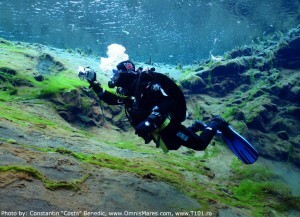 The site is renowned worldwide as a scuba diving spot and is made of three areas: the Hall, the Cathedral and the Lagoon. 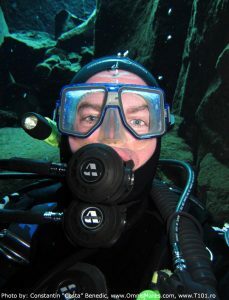 Meanwhile, somewhere in the UK waters, I had the inspiration of acquiring a scuba dry suit online. Of course, no one will recommend you to do such a thing, because a dry suit must be tried on first, it’s something a bit “tricky”, like they say. Well, you know how it is when you get a bit obsessed, don’t you?! I searched a bit the web and I found a company from the UK – Northern Diver. The upside was that I didn’t need to pay all the custom fees and I was getting out of other expenses as well. The company had experience in the field; the website was elaborated, with size charts, everything that you needed. I called and they were extremely friendly (naturally, it’s not for free:)) and they advised me regarding the size and accessories. If you have a “standard” body you can follow the published charts without hesitation, if instead you have some additional “donuts” or your hands are longer or I don’t know what… then it’s better to go for the “custom made” alternative. To cut the story short, they sent me the suit, I was satisfied of how it looked and how it fitted me, and all I had left to do was “wetting” it. They say that, when you buy something new, you should “wet” it… but in my case I was literally wetting it. But, before Iceland, we had in our itinerary the Faroe Islands; if you don’t know where these are located remember the beating Romania took some years ago, at soccer, from their fishermen team:). Here I made arrangements with a diving center and I dove twice, just in time to get used with the dry suit and the cold water. I had a guide, Bara… off… I could have dived in my bathing suit for that matter, and it would have still been hot. Blonde, blue eyed… trouble! 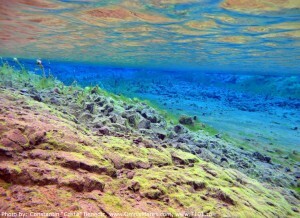 But let me continue with the story about Silfra, that’s what interests us, right?! So, I kept in touch through email with Gisli from the Dive the North center, in order to organize some dives in the area, including Silfra. I was very close to also jump at the opportunity to do a tec dive at a recently discovered site – some geysers situated at a depth of 70 meters, but I was kind of exceeding my budget with a lot so, with pain in my heart, I had to bail out. 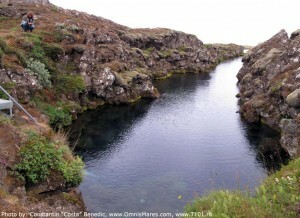 The main dive at Silfra was planned for July 26th  with Scuba Iceland. Finni, the center’s owner, an ex-policeman, is a guy with an infectious humor and a special attention for details. And, my luck, the guide, Nina, was a blonde native with blue eyes… otherwise a perfect professional! At 9:00 am, as we agreed by email, I was picked up from the boat by Nina and we went to the diving center to prepare the equipment and finish the bureaucratic paperwork. There, the gear was already prepared for me and other four young divers (three Americans and a Frenchman). Finni was supposed to dive with them; I had the pleasure of having Nina as a private guide. The trip from Reykjavik (Iceland’s capital city) to the Thingvellir National Park took around 45 minutes. Finni did a great job also as a regular “terrestrial” guide giving detailed explanations about what we saw. At the Park’s entrance there’s a touristic point where you can buy some sandwiches and water, and from there to the parking lot there’s just a few minutes’ drive. You can already see, somewhere in the distance, huge walls of stone which give space to enormous cracks, a clue that the place was at some point strongly tectonically active. The place is a UNESCO site because, some hundreds of years ago, Viking leaders were gathering here and made plans for ruling the country (a sort of “parliament”), they were killing some people, they got drunk a bit… well, it was cold, so it’s understandable:). The parking lot was made of a natural plateau where all the cars of the diving centers in the area are parking. Something I was not expecting there were little flies… extremely many and annoying, despite the outside temperature of just 12°C. The sky was covered, with rain forecasts in the afternoon (which became reality). Together with Nina and Finni we all went for a “warm-up” visit to the site, I mean a briefing about what will follow. The distance between the parking lot and the entrance point in the water was around 200 meters. 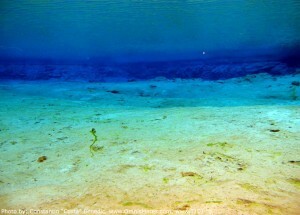 A small stone plateau offered the needed comfort for arranging the gear before entering the water, which happened through a metal ladder and then right in the freezing cold water of just 2°C in the huge fresh water lake. The four young people who were supposed to dive with Finni were using a dry suit for the first time, so they had a more detailed briefing. We geared up, afterwards, accordingly. Me in my new dry suit and the wing with Apeks regulators and 2x12l of steel on my back, plus some other 8 kilograms of weights hanging on me (I would have entered with less, but being in tests I thought it’s better to stay under the fresh water, than at the surface), enough to remember that I should make a pact with the gym and we should meet more often:). Nina entered with the equipment in sidemount configuration (the tanks were mounted on the sides), very cool! Of course, everyone was in dry suites. The first impression you get when you enter that semi-freezer and you put your mask in the water to see… it’s absolutely magnificent. 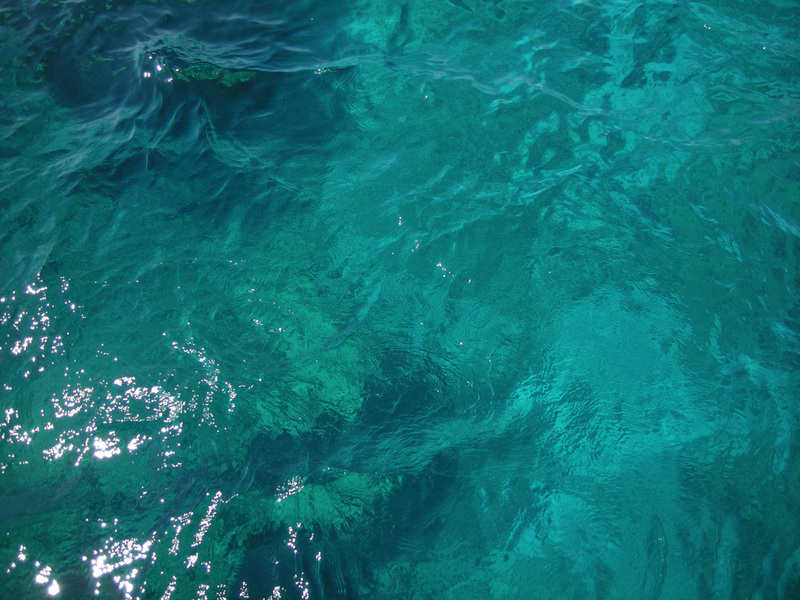 A clean, pure blue, as if you would float in space not in the water… and the cold. You immediately realize that the water comes from the glaciers. 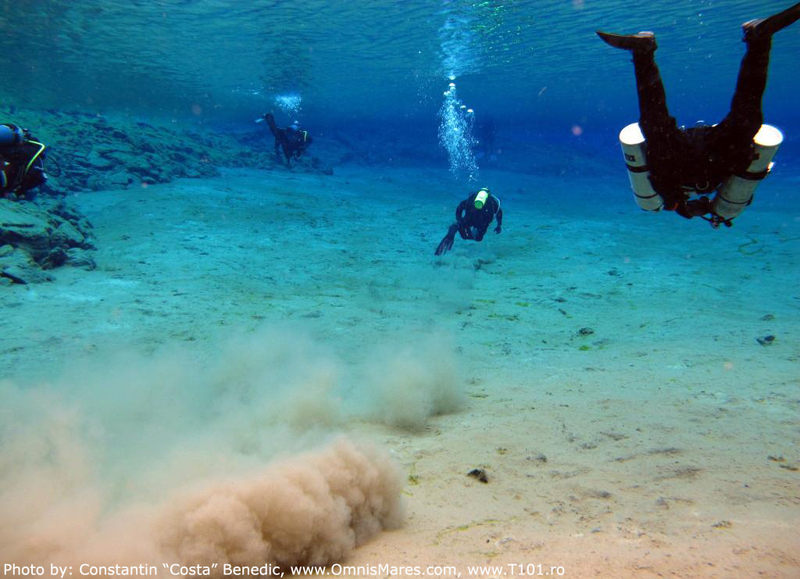 The mask fogs instantly, while at the surface of the water vapors form from your breathing. You feel a slight current because the entrance is through a fjord (let’s call it like that), and a few meters away (in the back) there’s a lake, very small at the surface, but deep, which gets fueled with underground water, from the glaciers, and then overflows through some tunnels (which we crossed during our second dive) into the “fjord” where the entrance is. Of course, the mask and the camera get fogged immediately, while you instantly start to feel your fingers getting cold. I used 5mm gloves to be able to maneuver the camera’s buttons and after 35-45 minutes my hands were already more frozen than a Siberian mummy:). The dive’s profile was varied: from depths of over 60 meters to passages of just 2 meters in depth. Anyhow, there’s no point in diving right down to the bottom, because the view is anyway breathtaking even at 15 meters. 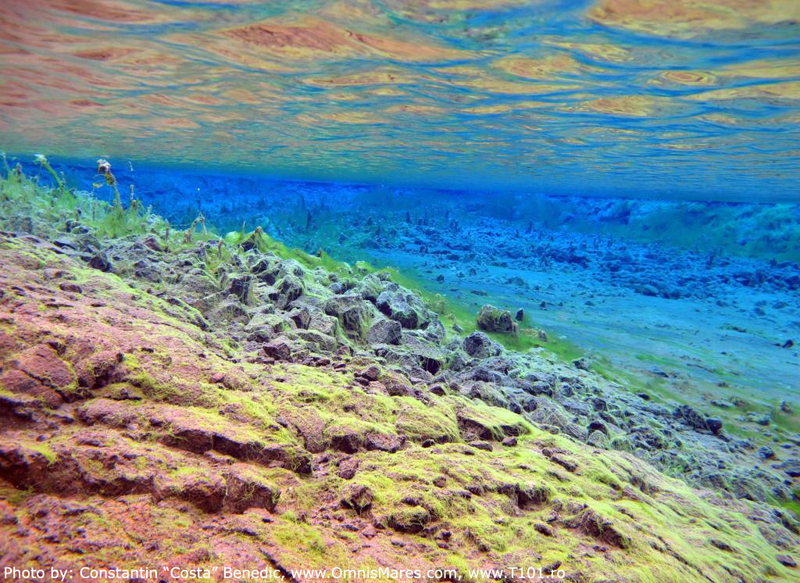 The walls are rocky, the bottom is covered with black sand (volcanic); in some places you can find some fresh water vegetation (especially in the Blue Lagoon). Marine creatures… I only saw three fish, maybe there are more, anyhow, they weren’t the reason I came to visit Silfra:). You pass through relatively narrow places and then you reach wide ones, like a “cathedral”, following a semi-circular direction angling towards left. At the end of the dive the feeling is dream-like, because those moments pass very quickly, like a movie played on fast-forward. In the Blue Lagoon it’s recommended to use the frog kick method… otherwise, the divers coming from behind will not see a thing due to the shallow depth and the easily stirred bottom. It’s fortunate that the weak current I was mentioning before does its job and settles the water quite quickly. The exit is on a rocky bank, comfortable to take your fins out. You have to walk some 150 meters more and you will be back at the initial entry point. We took a de-freezing break, we drank some hot chocolate and then we went for the second dive. Finni and the four divers retraced the same route, this time the young divers felt more comfortable in their dry suits. Nina and I we took a different route this time. 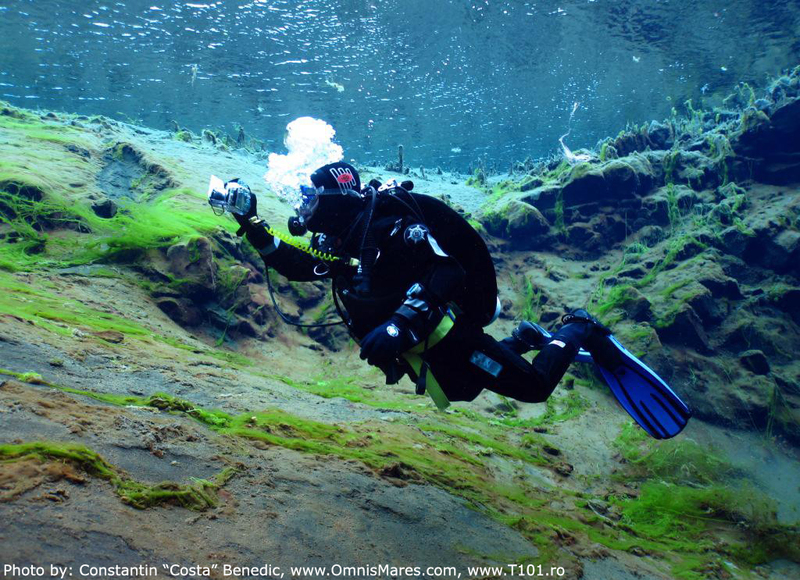 This itinerary going through tunnels, cracks and caves is not available to everyone and is only recommended for those with a minimum of experience in this type of diving. The entry point was the same, but then we entered some deep tunnels with a “Sanctum”-like landscape. The very clear water, the darkness in those tunnels and the light going through some of the cracks are worth all the effort. This time we dove a bit deeper, down to 21 meters, passing through different underground channels and touching the famous walls separating the two tectonic plates – the Eurasian and North American, then we returned to the entry point and we crossed a tunnel of approximately 35-40 meters to that small lake from where the underground water was coming. The exit was similar as before, on the rocky shore, quite comfortable. Good to know that during my second dive I had a great deal of humidification in the underwater housing (a Canon WP-DC34 for G12), despite the two silica bags which I took out soaking wet! Between dives it’s recommendable to open the housing and dry it a bit while, eventually, changing the silica bags if the case! Diving in Iceland is a bit more expensive than diving in Europe or it can be classified as “very expensive” if we compare it with Egypt. But, if we take into consideration that the equipment is included in the price (the cold water regulators and the dry suits), plus the guide and the transportation, then we reach the conclusion that it’s worth it! 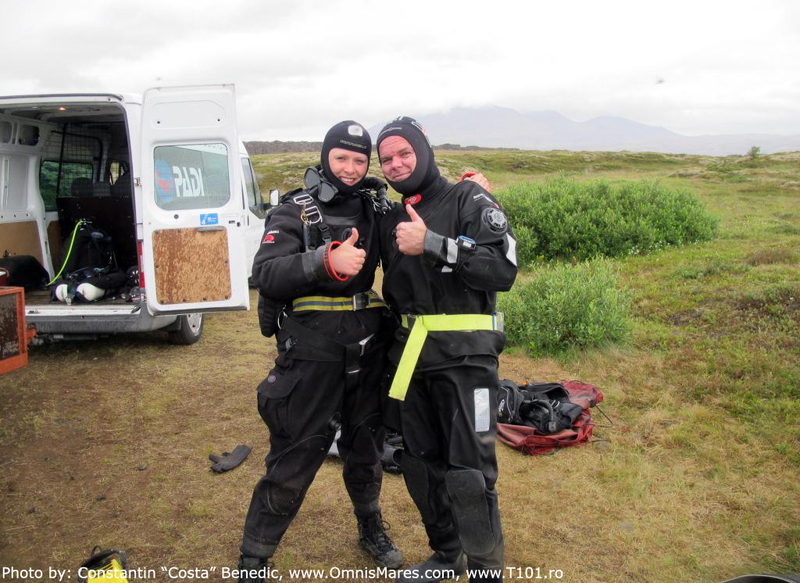 Two dives with full gear included and two ways transportation costs 27.900ISK (Icelandic crowns; ≈169€). In my case, because I had a private guide, the cost was 40.000ISK (≈242€). 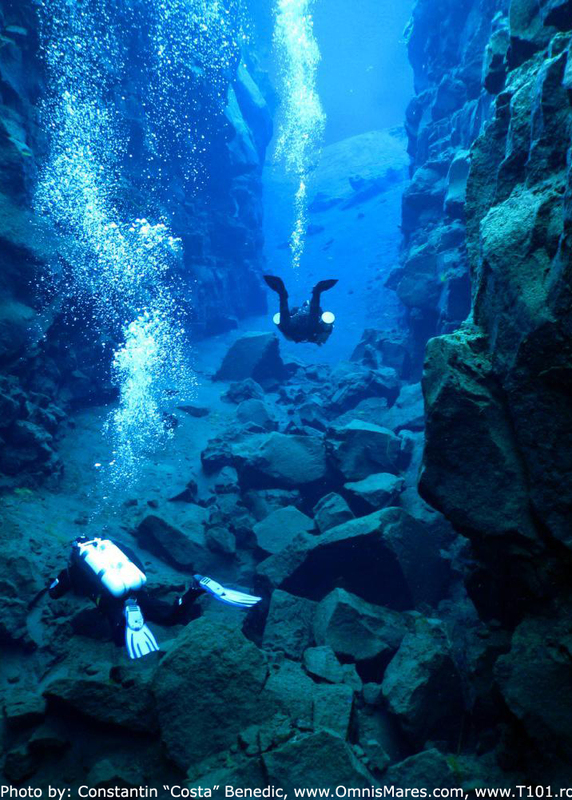 If you stay a longer period of time in Iceland, you have available a few dive sites which sound quite inviting: on the east coast – El Grillo (a dive at a WWII wreck, starting at 27 meters and going to a depth of 40 meters); on the north side – Strytan, declared as one of the top five dive sites in the world, that’s how spectacular it is – geothermal underwater vents (sounds interesting, isn’t it?) and a lot of other special locations. 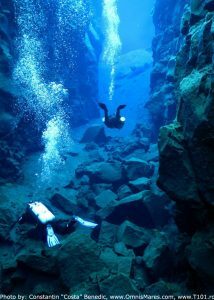 Here you can find more details about the scuba adventures available in Iceland. 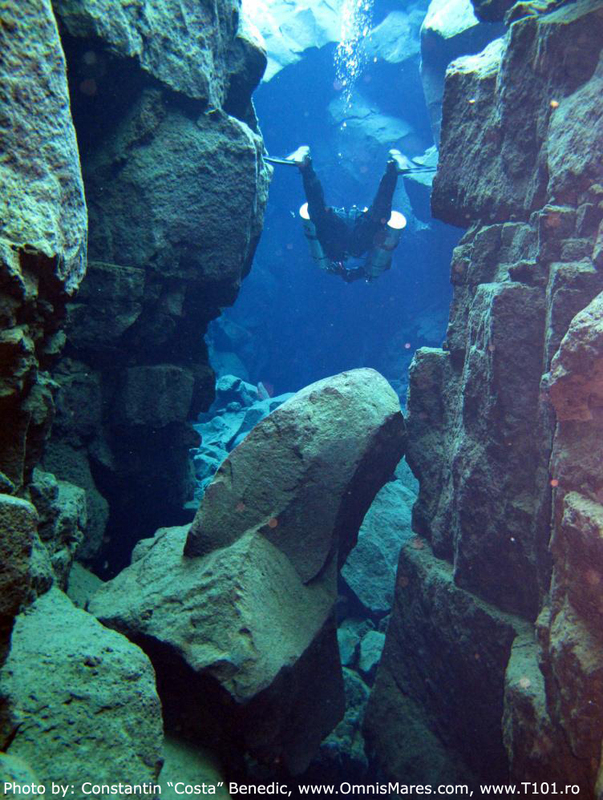 As a conclusion to this adventure, if I would have the opportunity to go back to Iceland, I would definitely repeat the Silfra dive – it’s something unique, you can’t experience anywhere else something similar. It’s not a difficult dive, but it should be treated seriously. Iceland, despite its cold name, it’s a mainly green territory, very beautiful, with people who, regardless of their Viking and warrior origins, are very welcoming and civilized! Calm waters to you all!